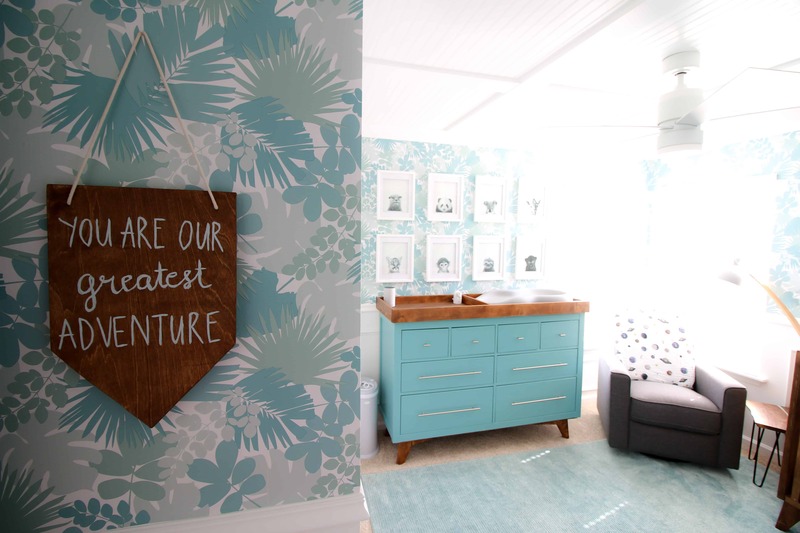 I am so excited to share our nursery reveal with you today! 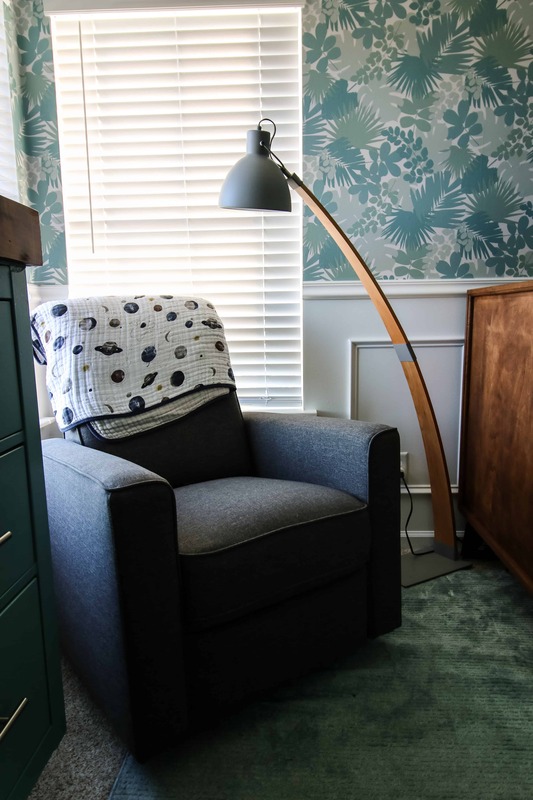 I was excited to design a modern jungle theme nursery for our little boy, Luke, and I hope that you love it too! Another big reason was this wallpaper, which is one of the first things that you will notice about the design. 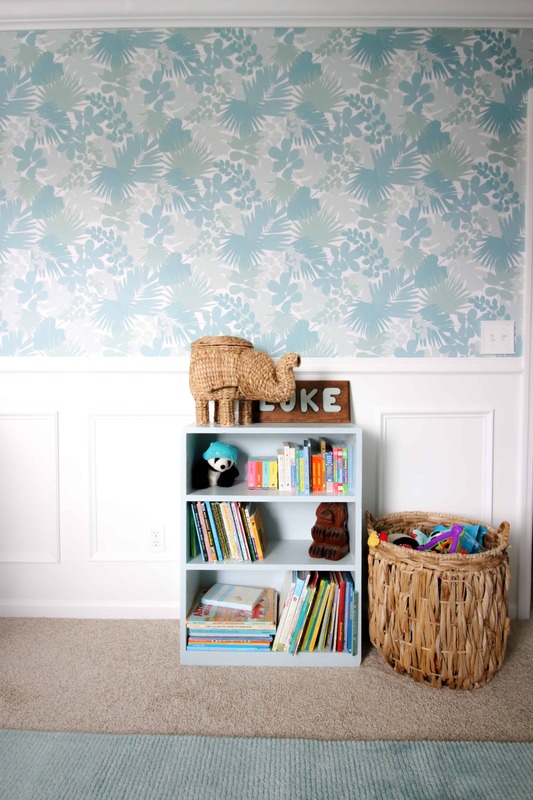 The wallpaper is tropical palm leaf print and came from Target. 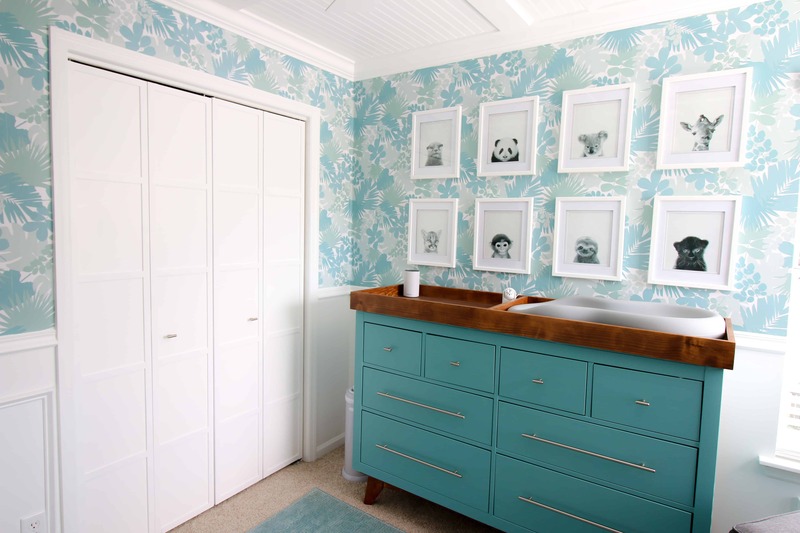 We shared a whole post about how to hang peel and stick wallpaper here. 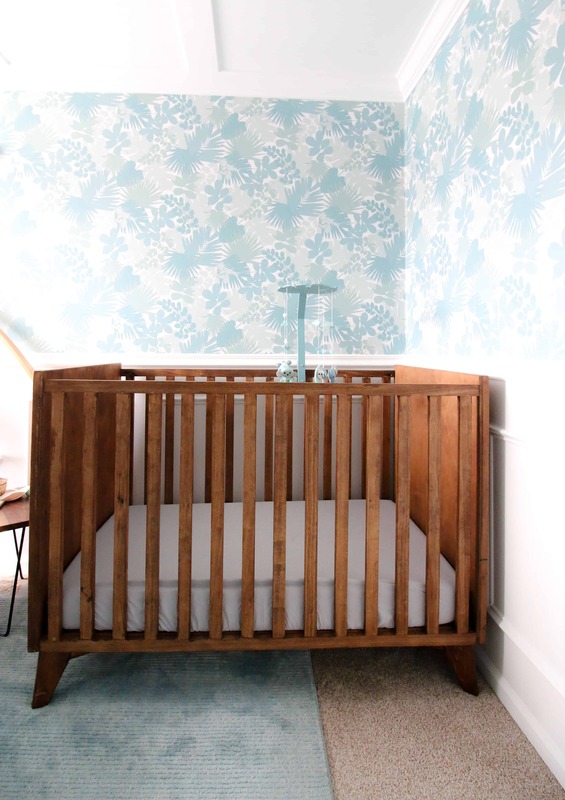 I also contemplated hanging some jungle nursery wall decals instead of the wallpaper, but I am glad that I went with this look. It makes a huge impact. The colors are colorful and bright enough to read like a kid’s space, but not overwhelmingly so. I think that it is perfect for a baby nursery! The wallpaper meant that we did not need much other wall art. 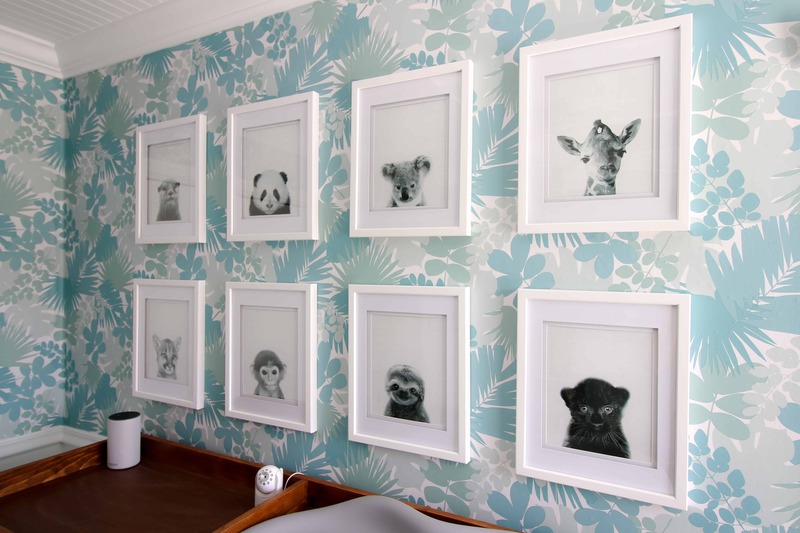 However, I was excited to hang a baby animal gallery wall over the changing table. 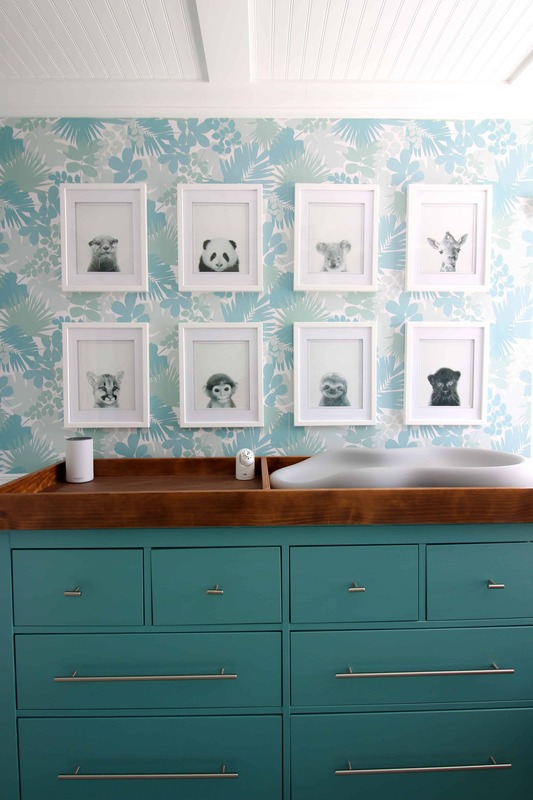 It takes the jungle theme to the next level – a bit of modern safari nursery decor! I just love how it turned out. Speaking of the changing table, that was an IKEA Hemnes dresser hack. We also built a custom wooden changing table topper to hold the changing pad in place. In the corner of the room we have our rocker, a live edge side table, and a gorgeous lamp that’s hooked up to a smart plug. This corner is my favorite spot in the whole house. It’s the perfect place to gaze out onto the lake and relax while holding a sleeping baby. 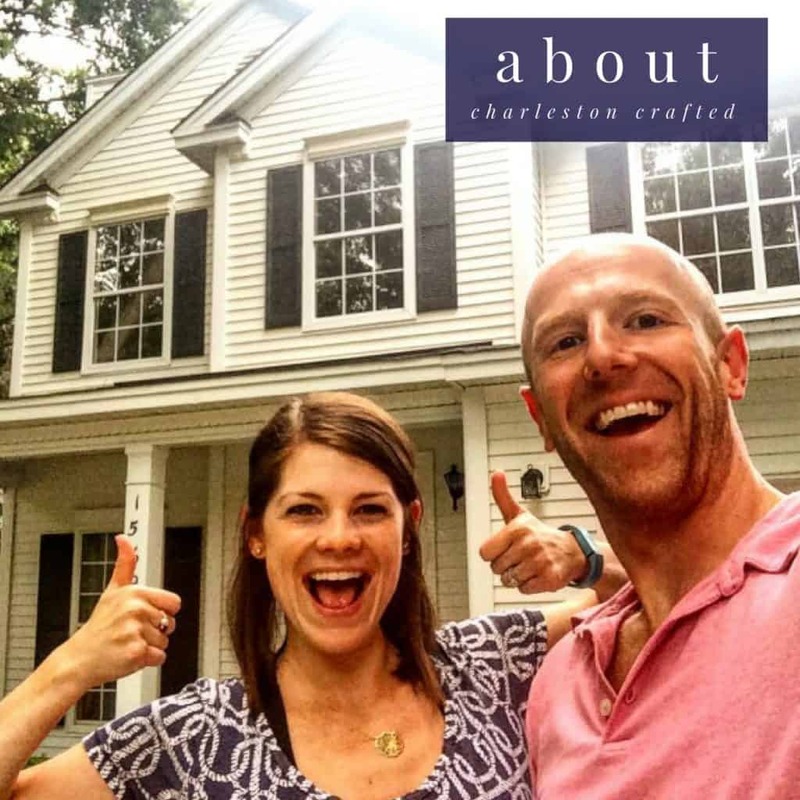 Sean built the mid century modern crib entirely from scratch, which was shockingly simple! In lieu of printed jungle themed bedding, I just went with a simple gray crib sheet. 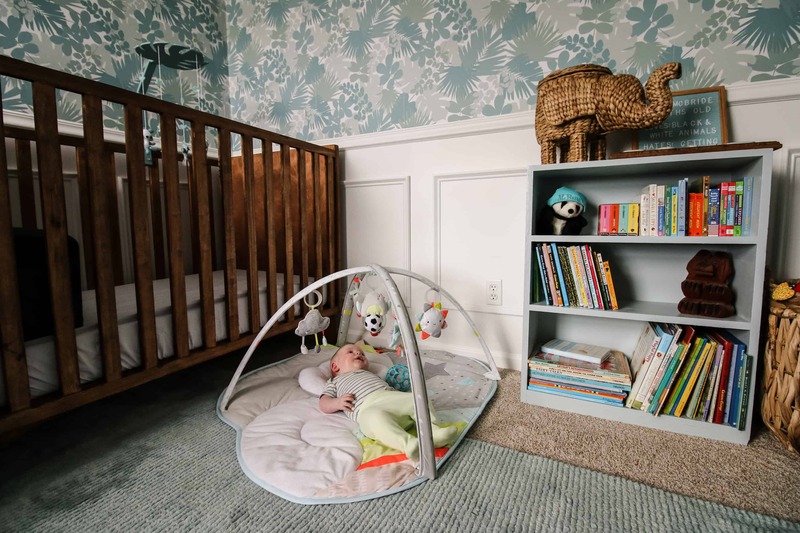 We’re hoping this crib will be in our family for a long time. I also built a jungle themed palm leaf baby mobile with safari animals sewn from felt. It turned out so adorable! I didn’t go with too many jungle themed nursery accessories, so I really wanted the ones that we have to stand out! Let’s get back to the base of the room. In addition to hanging wallpaper, we hung wainscoting on the lower half of the walls. We also completely made over the popcorn ceiling with a DIY coffered ceiling. This has got to be my favorite project in the whole house! 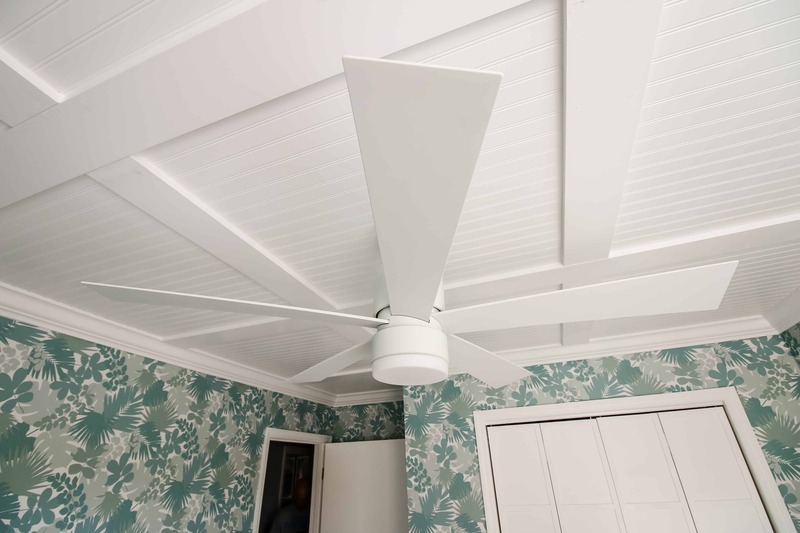 The ceiling was perfectly capped off with the addition of a modern ceiling fan that features both up and down lights. 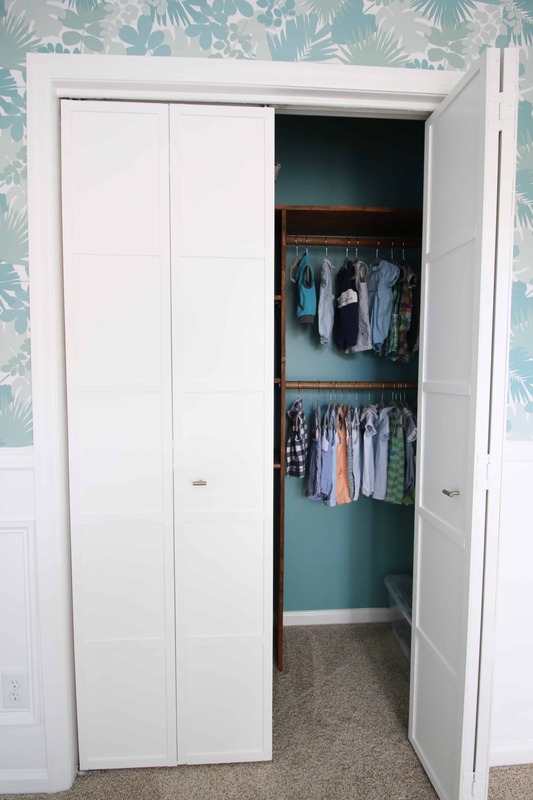 I used thin slats of wood and some white paint to give the bi-fold closet doors a more modern look, too! 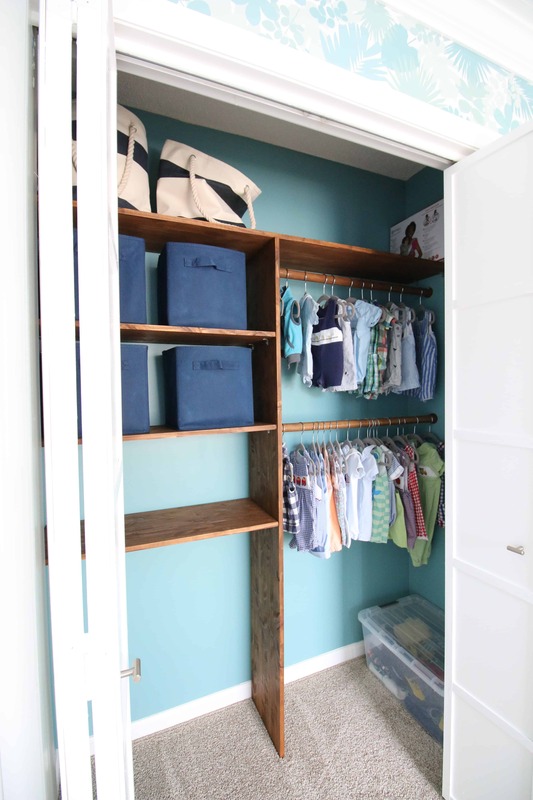 Inside the closet we designed a custom storage system. In the entryway to the room, I hung a simple wooden banner that reads “you are our greatest adventure.” It really fits the feeling that we wanted the space to have. I am so pleased with how Luke’s nursery turned out. 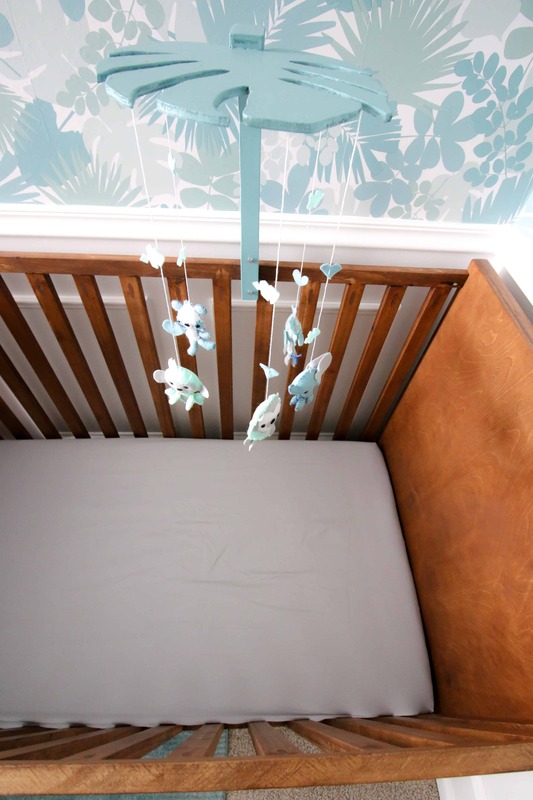 We worked hard to turn all of my jungle nursery ideas into a reality! I know that he doesn’t really see the space right now, but I hope that he feels safe and secure and loved in this room!